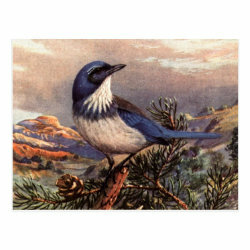 This colorful reproduction is of an original painting by Canadian artist and ornithologist Allan Brooks. 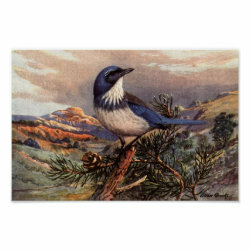 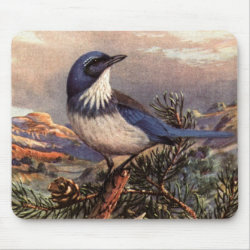 The vibrant image is of a Western Scrub-Jay on a More... pine branch with a dramatic western landscape for the background. This classic bird illustration makes a great gift idea for anyone that loves birds, especially jays!